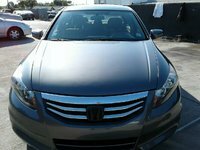 Looking for a Used Altima Coupe in your area? CarGurus has 798 nationwide Altima Coupe listings starting at $2,550. 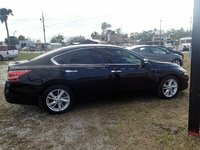 The 2012 Nissan Altima Coupe offers two capable engines, one capable transmission and a compliant ride in an attractive package. 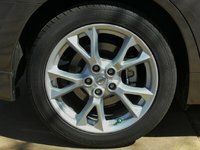 A lackluster manual, too-stiff suspensions and a frustrating options structure are serious drawbacks for the 2012 Altima Coupe. Whereas the Altima wants to paint a picture of pliancy, the list of options isn’t as long as you’d like. The 6-speed manual just isn’t an option, and the sport suspension of the 3.5 couples with the Coupe’s shorter wheelbase for a package that’s just too janky for daily driving. Better to stick with a nicely optioned 2.5 here with the CVT—the best value in the lineup. The Nissan Altima Coupe slides into 2012 with no changes as it prepares for a 2013 redesign. Bland beginnings, but the Altima Coupe is already one of the more underrated vehicles in the class, offering a better interior than the class-leading Accord, and a better exterior than most everything in the class other than perhaps the Fusion. However, you can get a better driving experience with the Mazda6, and most competitors offer a better experience when it comes to checking out the options list. With the Altima Coupe your options are few but fun. A 2.5-liter inline 4 gets the party started with 175 hp and 180 lb-ft of torque, and a 3.5-liter V6 sits in reserve, ready to blast your pants off with a nearly manageable 270 hp and 258 lb-ft of torque. While the 2.5 gets the job done amicably, the 3.5 seems determined to remind you it’s working hard with gobs of torque steer. Either engine can be had with your choice of a continuously variable transmission (CVT) or a 6-speed manual transmission, believe it or don’t, and the returns at the pump aren’t terrible. For the 2.5, that means 23 mpg city/31 highway, with the CVT eking out an additional mpg on the highway. The 3.5 offers a penalty, but not as bad as you’d expect, with 18/27 for the manual and 20/27 for the CVT. Still, these are numbers from the previous generation, and we’d expect the next Altima to do much better. On paper this looks great, but in real-world application, there are many drawbacks. Both engines are coarse and loud, especially under load, and the fun of the 6-speed is robbed through its excessively long throw and a clutch that seems determined to offer absolutely no feedback. I don’t often say this, but avoid the manual. One of the low points of the Altima Coupe, the ride is sacrificed somewhat due to the Coupe’s shorter wheelbase without much benefit on the handling side. You’ll notice some additional sprightliness when twisting the till, but not as much as you’d want or expect. Even with the sport suspension in the 3.5, Nissan seems to have found that all-too-common recipe for making things harder without making them much quicker. This is where the Altima shines. Whereas competitors like the Accord are being constantly criticized for their low-rent interiors, things are a bit better here. Still, there are some surfaces and materials that will have you taking a second look at the sticker, wondering if you didn’t mistakenly buy an economy car. 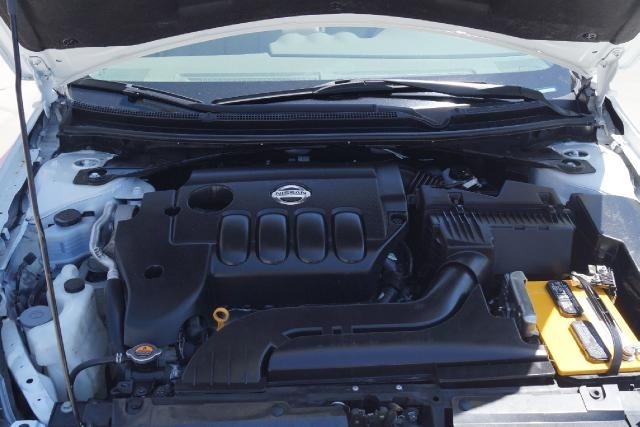 On top of that, here is where you’ll encounter the biggest complaint from the Altima crowd—the frustrating add-ons structure, which necessitates purchasing expensive options packages in order to “unlock” other options packages. For example, you may opt for the 2.5 Convenience Package for its 8-way power adjustable driver’s seat, faux-wood trim and leather-wrapped steering wheel with audio controls. Don’t want those options? If you want anything else, you’re stuck with them, and that means the sticker price will be moving up quite quickly. 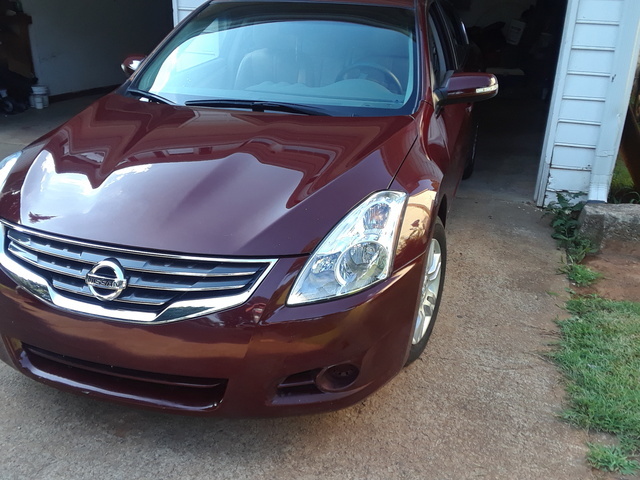 Still, the Altima comes standard with air conditioning, a full power package, keyless access and push-button start, a CD/MP3 player with digital media connection and 17-inch alloy wheels. The 3.5 adds a power sunroof, automatic headlights, an 8-way power driver’s seat, heated power mirrors with indicators and a leather-wrapped steering wheel with controls when you choose the CVT. Move to the 6-speed manual and you’ll get leather upholstery, dual-zone automatic climate controls, heated front seats, Bluetooth, a rear-view camera, a Bose stereo and Xenon lights. The Altima is one of the safer cars on the road, with the National Highway Traffic Safety Administration (NHTSA) awarding it an overall score of 4 stars, with frontal impacts getting a 4-star rating and side impacts doing one better with a 5-star rating. The Insurance Institute for Highway Safety (IIHS) has given the Altima its best—albeit improperly named—rating of Good. As far as safety features go, you’re looking at stability and traction control, 4-wheel disc brakes, front-seat active head restraints and 6 standard airbags. Owners are generally impressed with the look of the Altima, inside and out. While some are pleased with the power of the V6, others find it too much for what is normally considered a pretty sedate car, especially when torque steer gets too unwieldy. The manual has been an almost universal disappointment, and while the CVT is much better in direct operation, some think it makes the V6 too loud. Finally, the options structure has been a source of immense frustration for buyers, and sometimes a reason to spend more than you’d planned. What's your take on the 2012 Nissan Altima Coupe? mtw856 Nissan is discontinuing the coupe (supposedly) and now I know why. After driving one, it feels like an econo-box with a body kit and leather seats. The switches and other parts of the interior feel cheap. Excessive road noise - was there any metal between the road and the floor-carpets? The 2.5 4 cyl. I drove was $30k MSRP - twice as much as it feels like. Rattles - lots of them - after 24k miles. Yes this was a loaner, perhaps a bad example. Perhaps it was too pricey to design, develop and manufacture this car - thus where it lacks? 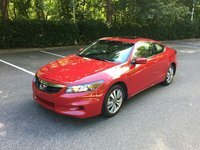 Doesn't make sense to buy one when an Accord Coupe V6 EX-L is the same price, is a much more solid car - and yes - very similar. On the up side - it looks great on the outside. CVT brings the car up to driving speed rather quickly. Effortless steering if you're doing lots of city driving. On the down side - not the driver's car it looks to be. Have you driven a 2012 Nissan Altima Coupe? I put the phoeb in its place then I press the brakes and then the button and now its locked and start stop engine light button is on but dim. My Car Loses Acceleration While Driving. My ad says high price at one spot and fair price at another spot. Thus occurs in the same ad.